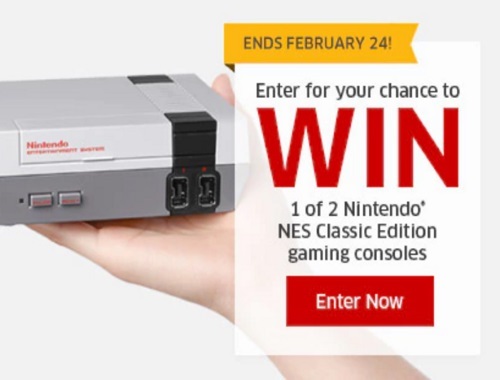 Enter for your chance to win 1 of 2 Nintendo NES Classic Edition gaming consoles. To enter just tell The Source your favourite NES character and why you love them to be entered for your chance to win at the link below. Contest closes February 24, 2017. Quebec is excluded.